NATIONWIDE ANIMAL AND HOUSE SITTING SPECIALISTS Specially Selected, Mature, Experienced & Professional Sitters who listen carefully to your requirements. Securely protect paws/legs on service, rescue, working, pet and disabled dogs; shield wound dressings. We stock traditional, contemporary, innovative, fun, functional & fashionable dog products! Purrs and Paws, a local and friendly pet caring service that gives you complete peace of mind in your absence, knowing that your pets are happy and safe. Paw Pals is a national pet sitting and dog walking business offering bespoke pet care services and franchise opportunities. Offering A Dog Walking, Pet Sitting & Home Sitting Service In Bedfordshire - Competitive Rates Offered! Offering quality pet care services in the Newcastle area for dogs, cats and small animals. Waggieness guaranteed! Dog sitting and walking, home boarding and pet care services within the Hertfordshire area. Fully insured and police-checked. Nationwide Pet Sitters. Responsible, experienced people will live-in and look after your household and animals including exercising horses, while you are away. Flower essence blends for animals - a natural and gentle solution to emotional or behavioural problems. Online pet shop selling brand name treats, toys and remedies at bargain prices! Secure online ordering. Nationwide delivery. Supplements For Pets have a range of powdered great value dietary supplements for pets, including joint and coat care products. 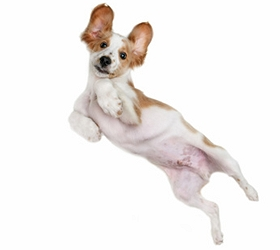 Licensed herbal medicines, supplements and homeopathic remedies for dogs and cats since 1948. Natural remedies for dogs and cats with firework phoebias. Holidays For Discerning Dogs. 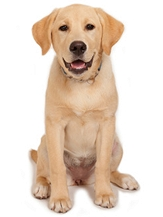 One-to-one dog boarding in luxurious private homes in SW London, Surrey, North Hampshire, Middlesex and West Sussex.